I’ll start the week off with one of my favorite photos of Newspaper Rock. 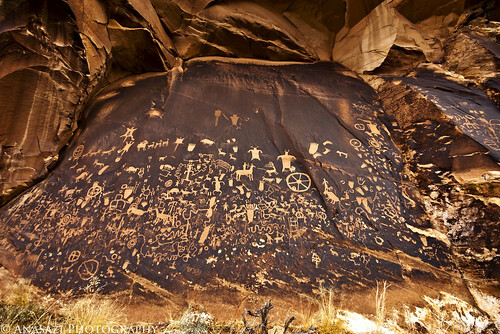 Here’s a nice overview of most of the panel that is well-known and found along Indian Creek on the way to the Needles District of Canyonlands National Park. There’s just so much to see on this panel. I have stopped here many times over the years and I always notice something new each time.